Henry Worrall was an early Kansas artist who lived in Topeka, Shawnee County, Kansas. 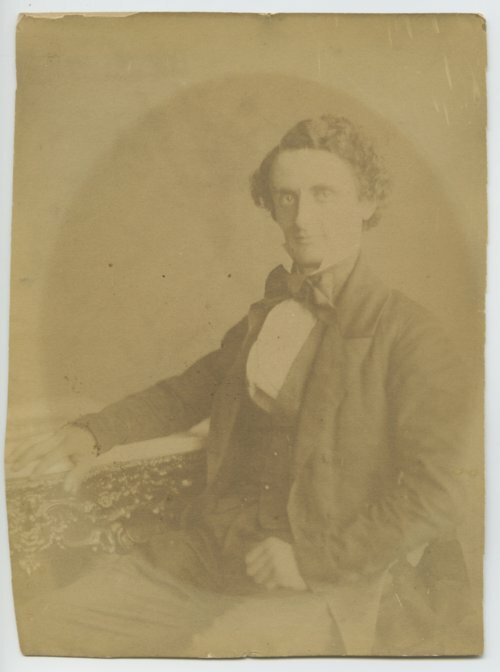 An inscription on the back of the photograph reads as follows: "Prof. Henry Worrall, born Liverpool, England. Most expert wood carver, artist - designer, guitarist, composer of Sebastopol, Violet Waltzes, Etc., resided in [XXXXXXXX], Ohio & Topeka, Kansas, U. S. A."